The fact that an increasing number of laptops and other systems have equipped themselves with SuperSpeed ports has prompted Patriot to introduce a new line of capless Supersonic Xpress USB 3.0 flash drives. These USB 3.0 flash drives are set to come out sometime next month, and are supposedly more than a little economically priced. A few numbers that are being thrown around are $25 for the 8GB, $38 for the 16GB and $55 for the 32GB, but these prices are not yet set in stone. 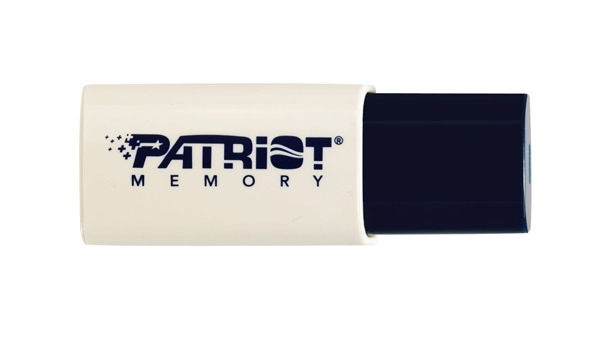 Each Patriot USB 3.0 flash drive offers some exceptional read and write times. This is due in part to the 2 channel memory controller that is built right in to the ‘push pen’ USB design. Essentially, the flash drive’s mechanical function works just like a pen in that when you push it, the USB connector comes out. And, while we like for our USB gadgets to be stylish, what we really are yearning for is the speed that the Patriot Supersonic Xpress USB 3.0 flash drives guarantee through their in house testing process. They claim that the 32GB device reads at 60 MB/s and writes at 25 MB/s. The 8GB and 16GB drives aren’t far behind with up 50 MB/s read time and 20 MB/s write time. All of this speed is backed up by a two year limited warranty. One very sweet aspect of this fast flash drive is that it doesn’t exclude users who have yet to take advantage of USB 3.0’s super speed data transfers. Each of these devices, from the smallest to the largest capacity, is backward compatible. That means that if the most a motherboard has is USB 2.0, that motherboard can still accommodate the Patriot drive’s need for speed. It is undeniable that consumers are looking for faster and faster performance, and finally we are seeing some more options that are not outrageously priced in the USB 3.0 flash drive department. Are Patriot’s Supersonic Xpress flash drives are spot on for your budget and performance needs? Weigh in below. This entry was posted in Articles, Patriot, Patriot Supersonic Xpress USB 3.0, SuperSpeed USB 3.0, USB 3.0, USB 3.0 Flash Drives, USB Gadgets and tagged capless Supersonic Xpress USB 3.0 flash drives, Patriot Memory, Patriot Supersonic Xpress USB 3.0 Flash Drive, Patriot USB 3.0 flash drive, Supersonic Xpress USB 3.0 flash drives. Bookmark the permalink. Very slow indeed. Our company is currently working on new USB 3.0 Model which will be available on retail market this fall. Read/Write speeds will be at least 70/60 respectively. Available capacities will start at 16GB and go up to 128GB. It’s too bad that competition on US market is so bad now, that Flash drive suppliers have to sacrifice quality and speeds in order to make their product competitive on a market. I would better pay $10 more for the drive which is 50% faster. I think many people would agree.